This all-in-one media kit combines a single card with SD adapter and a USB card reader to give mobile users the compatible storage they need for all SD and USB-compatible devices, including mobile phones, digital cameras, notebooks, tablets, e-readers, media players and more. The kit includes one adapter with the microSD or microSDHC card as the centerpiece, and a USB card reader, giving users the most versatile mobile gear. The card seamlessly converts to a Secure Digital (SD) or USB format that can be used across devices to easily move photos, music, videos or data to your camera, mobile phone or computer. The kits are available with a stylish USB microSD card reader and either a 2GB microSD or 4GB, 8GB, 16GB or 32GB microSDHC card. The included keychain lets you hang the reader from your phone so you'll always have it handy when you're on the go. 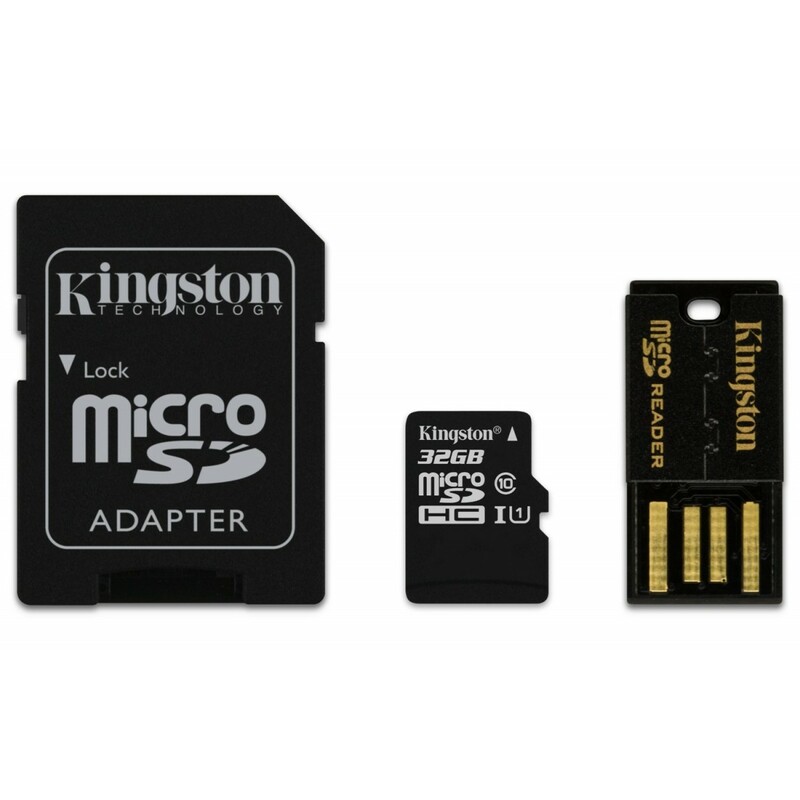 The kits are backed by a two-year warranty on the reader, a lifetime warranty on the microSD or microSDHC card, and legendary Kingston reliability, service and support. 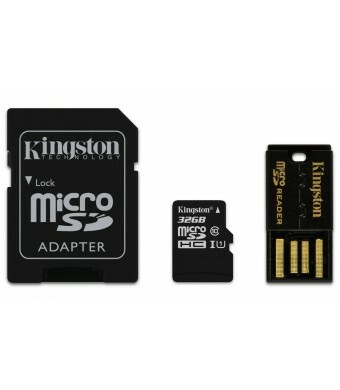 Store your entire mobile life - photos, songs, text messages, video clips and personal information on your microSD or microSDHC card, then work with it across device platforms seamlessly with the versatile Kingston Multi-Kit/Mobility Kit at your fingertips. To ensure compatibility, look for the microSDHC logo on host devices (e.g., phones, PDAs and cameras).